There is no mess at home and no fuss! We do the entertaining, while you relax! Partygoers will experience an exciting range of gymnastics and freerunning activities including games, mini competitions, fast tracks, trampolines into foam pits, bars, party games and much, much more! 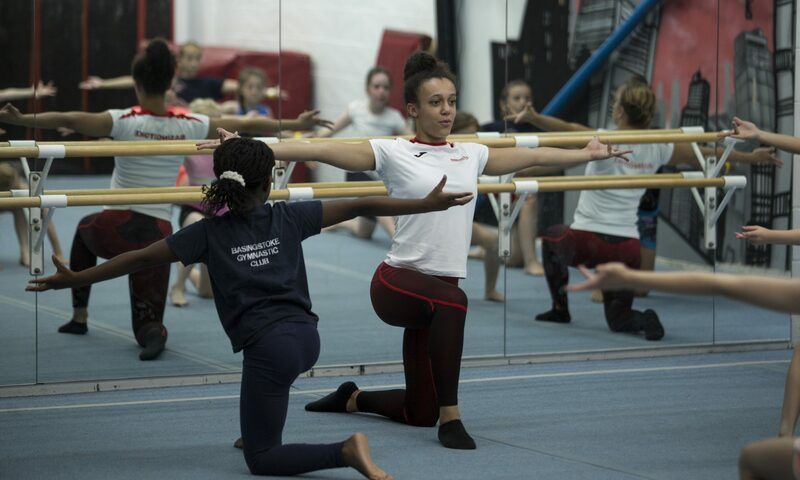 The kids get 1 hour of activity in our state-of-the-art gymnastics club supervised by our British Gymnastic qualified coaches followed by food in our party room. All you need to do is bring your own food and the birthday cake to celebrate! 30mins in the party room/reception and 15mins clear up time. If due to unforeseen circumstances Basingstoke Gymnastic Club has to cancel the booking, an alternative date will be offered to the customer OR a full refund given. If the customer cancels the booking with less than 28 days’ working notice, 50% of the fee will be retained by Basingstoke Gymnastic Club and 50% refunded to the customer. If the customer cancels the booking with less than 10 working days’ notice, 100% of the fee will be retained by Basingstoke Gymnastic Club.